I thought Australians were good at finding excuses to slack off and go drinking. Late last year, I attended quite a few bounenkai or “year end parties”. The word literally means “forget the year meeting”, which with the aid of lots of alcohol, isn’t hard to do. Not only that, less than a month later, everyone is having a shinnenkai or “new year party”, in which everyone gets together and talks about how good the coming year will be, and what they’re planning to do. Last night, I attended the Garage LFW shinnenkai, who have recently announced their D1 Street Legal campaign team, headed by last year’s third-ranked Seimi Tanaka. Garage LFW’s boss, Satoshi Nakatani, said that I don’t put enough of his stuff on Noriyaro, so here’s a shot of his S14 at engine builders STF from the other day. 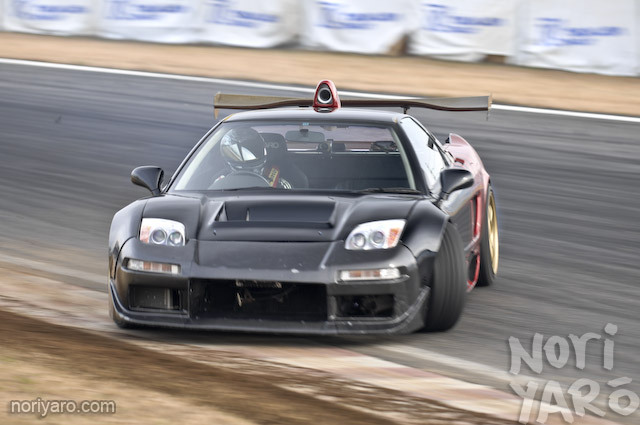 Remember the pic I posted of Shun Akutsu’s Advan NSX drifting at Tsukuba Circuit? 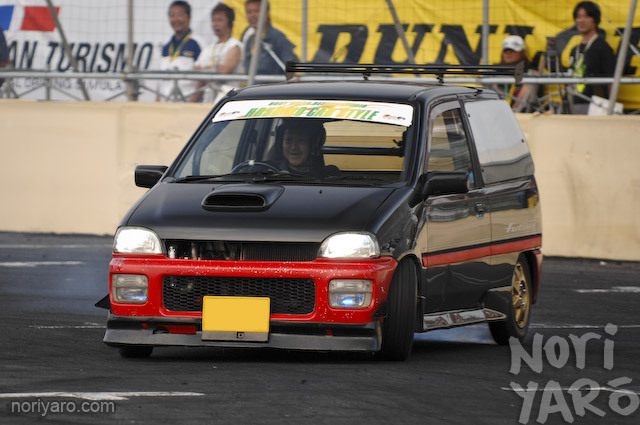 Well, he came over the other day for a little party we had at the house, and I heard about a bit of the history behind his unusual choice in drift car. Now there’s a perfect example of early 90s Japanese men’s fashion. This is my friend Rasukou, and this is his Sunny Truck. 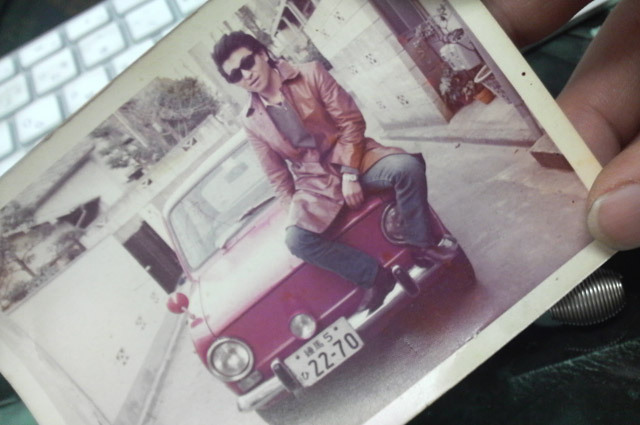 Remember back when cameras used film, cars used carburettors, and real men wore brown leather jackets? Option magazine’s bossman Daijiro Inada was there. 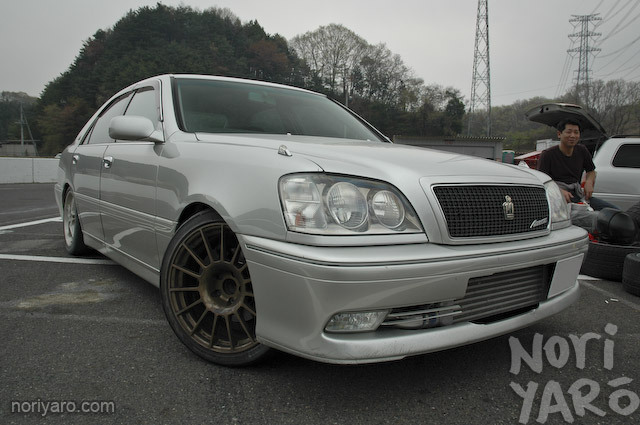 Check out this yansha Z10 Soarer I saw when I was driving at Ebisu Circuit last week. You want something different? I’ll give you something different. 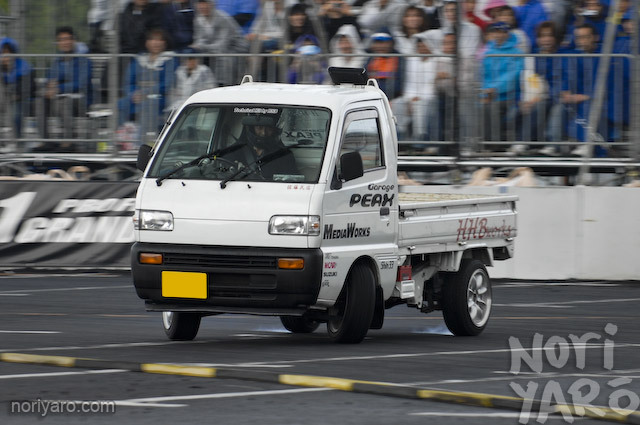 You didn’t think I was just going to post one day of weird kei car drifting and not follow it up, did you? 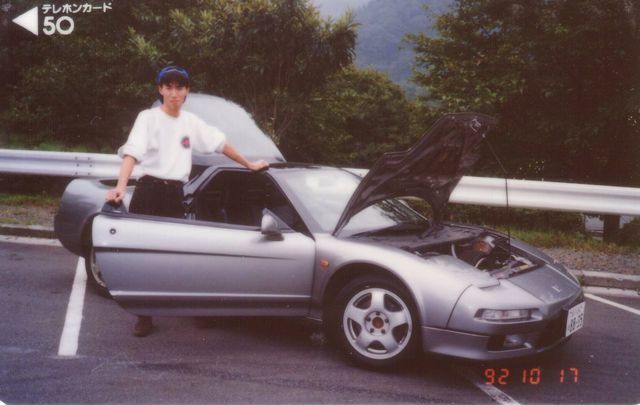 Now it’s time for some FF Subaru Rex action! I get the feeling some people will lose the plot over this post. 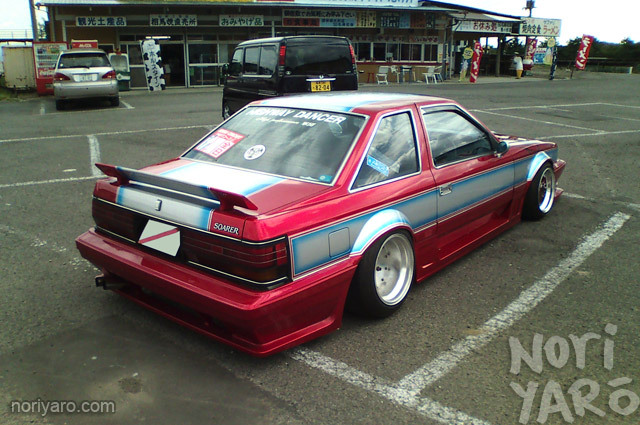 “I’m sick of Silvias and Skylines and AE86s!” they say. “I want something a bit more unique! Something a bit weirder!” they cry. 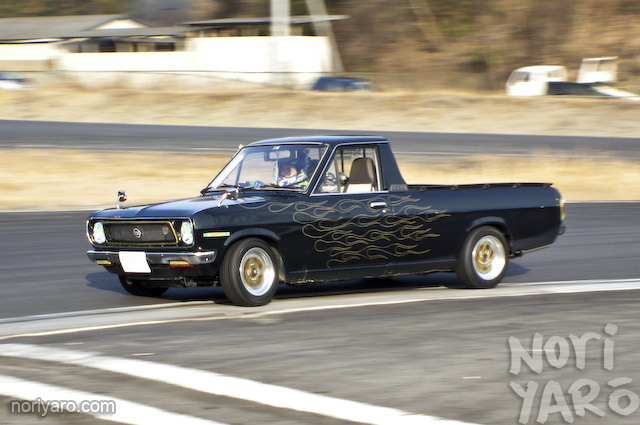 Ladies and Gentlemen, I give you kei truck drifting.